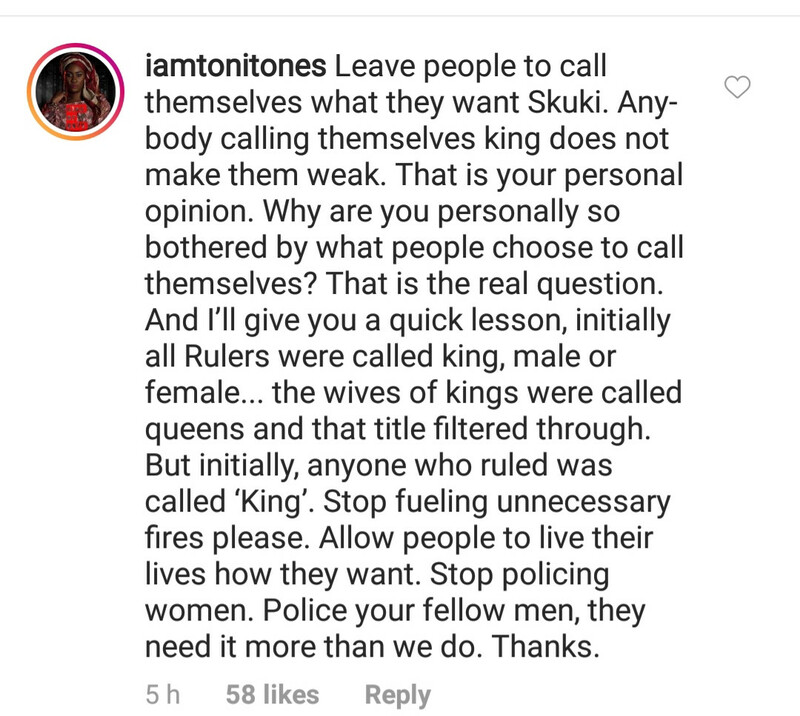 There was mild drama yesterday between Nigerian singer, Skuki Peeshaun and actress, Toni Tones on social media. The drama started when Skuki Peeshaun shared an Instagram post in which he advised women to stop calling themselves king. According to the singer, any woman who calls herself king is a weak woman. However, Tones who obviously did not agree with his post took him to school to educate him about letting people call themselves what they choose to. According to her, Peeshaun needs to stop policing women and start policing men as they also need all the relationship advice he dishes out to women. The issue of women calling themselves “king” is one that has always been met with mixed and different viewpoints. While some female celebrities like Tonto Dikeh and Cee-C boldly wear the title, some others have pointed out to fans not to address them as such because they are queens.